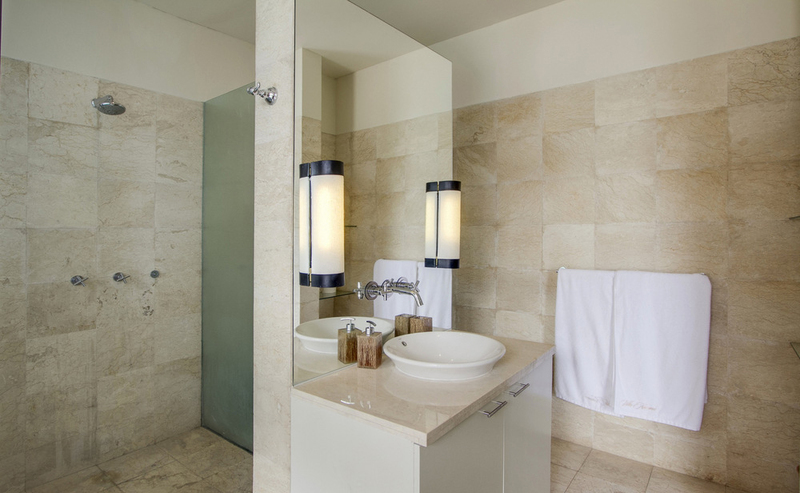 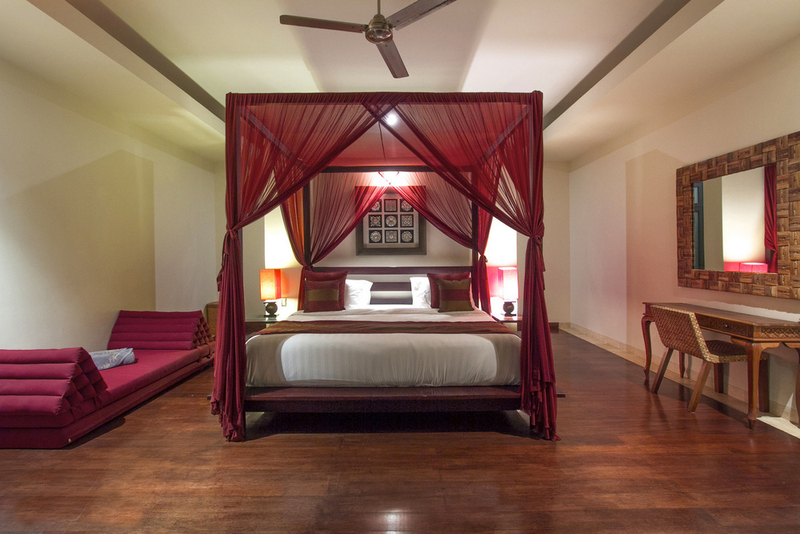 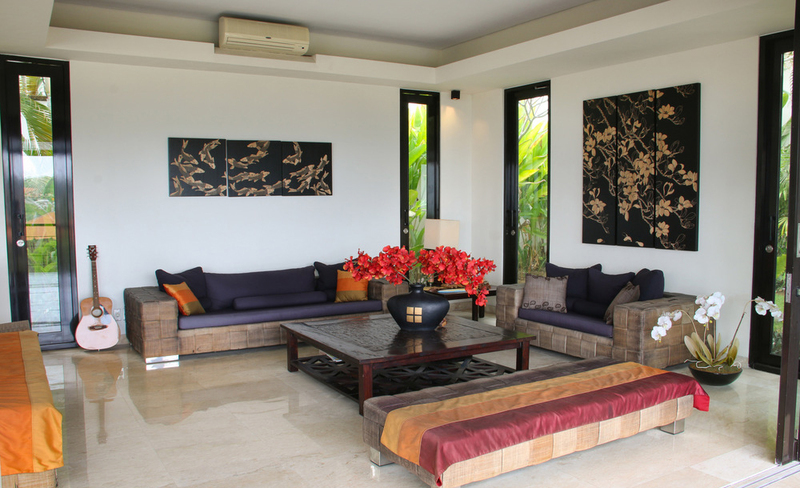 The villa achieves a balance of luxury, comfort and style. 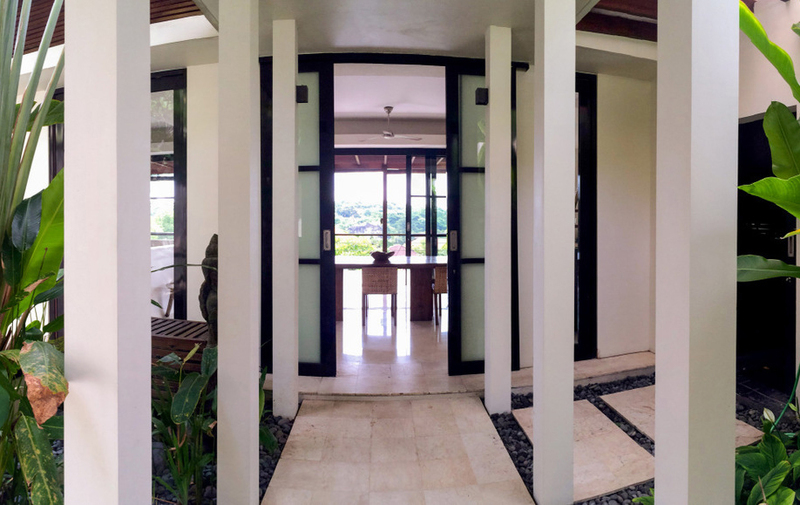 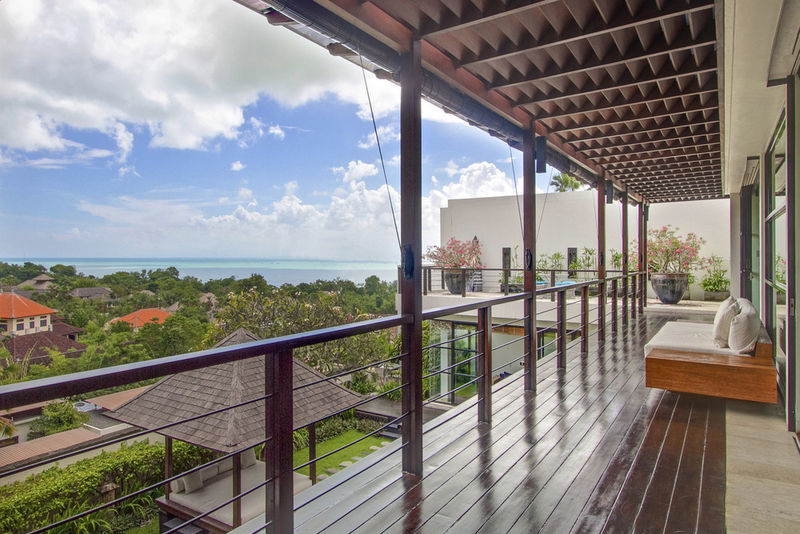 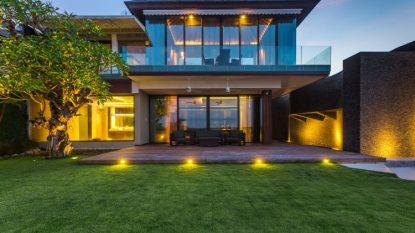 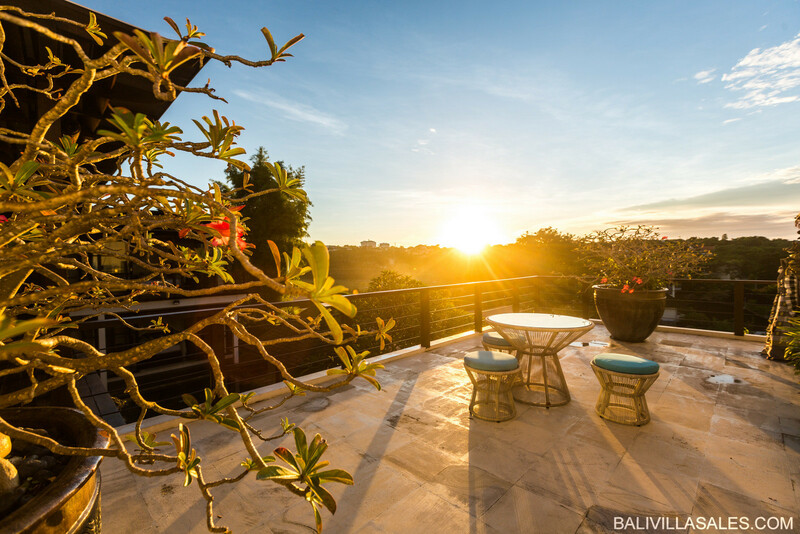 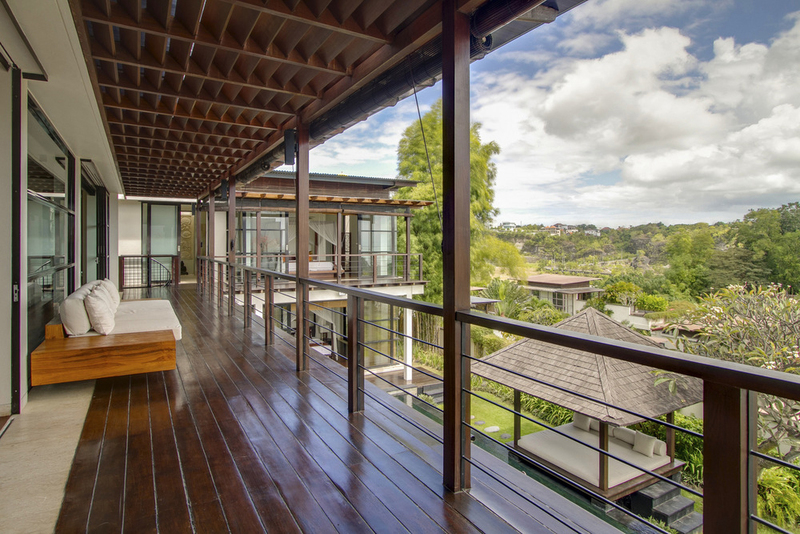 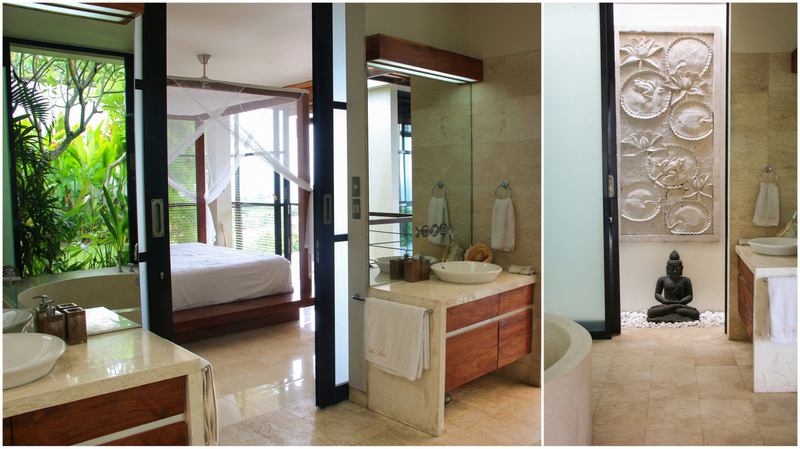 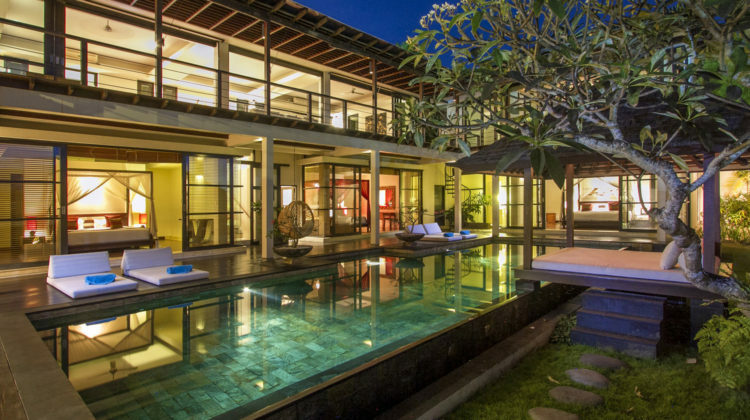 The architecturally designed 570m2 private two-level, 4 bedroom villa is sited on 650 sqm of land with uninterrupted views across Jimbaran Bay. 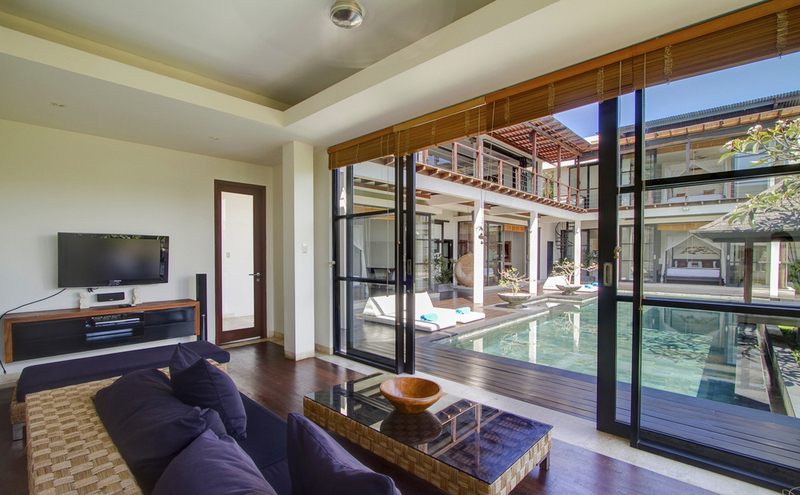 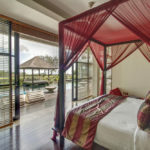 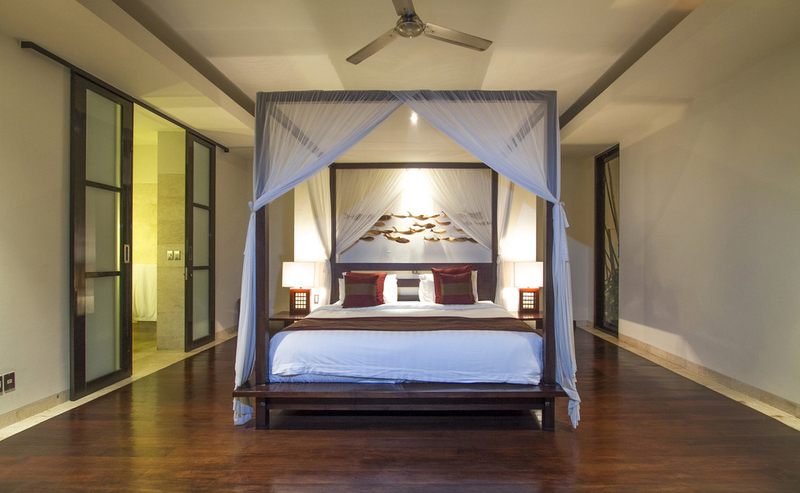 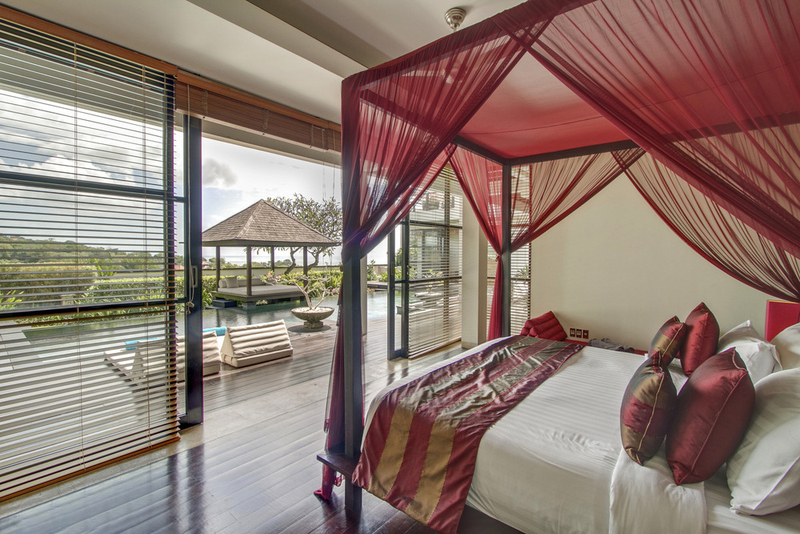 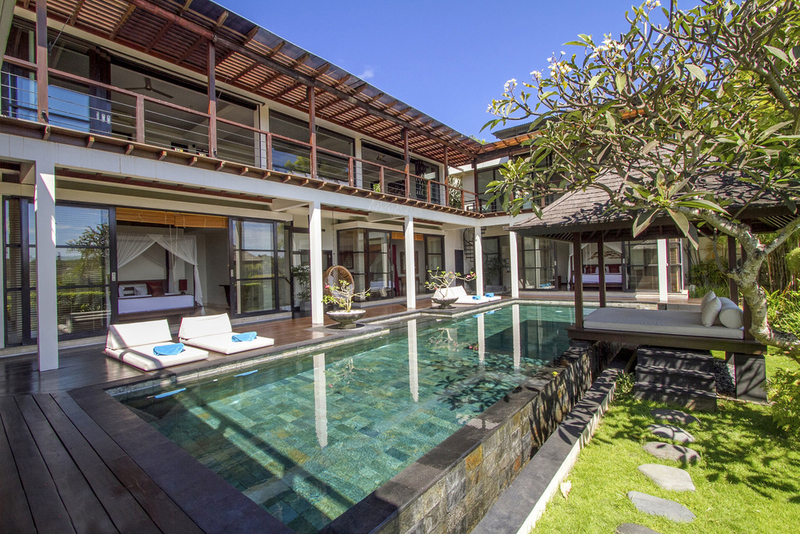 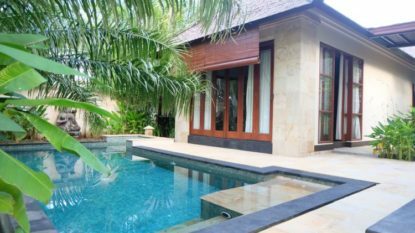 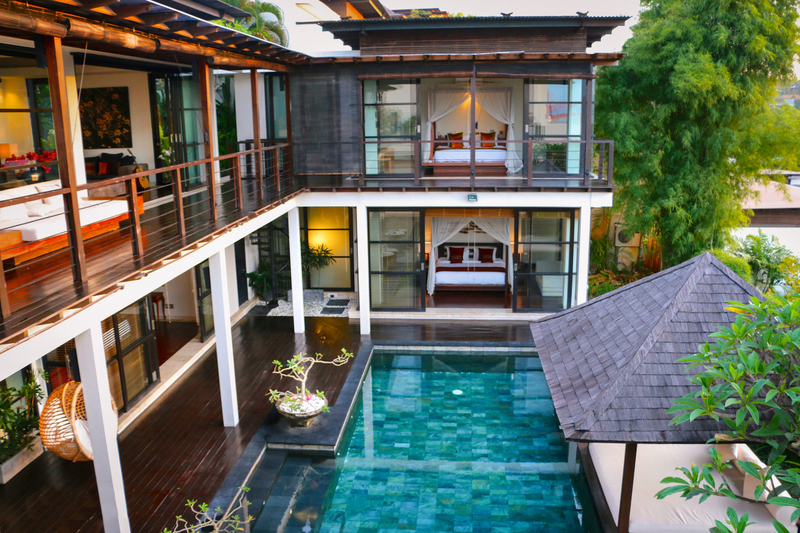 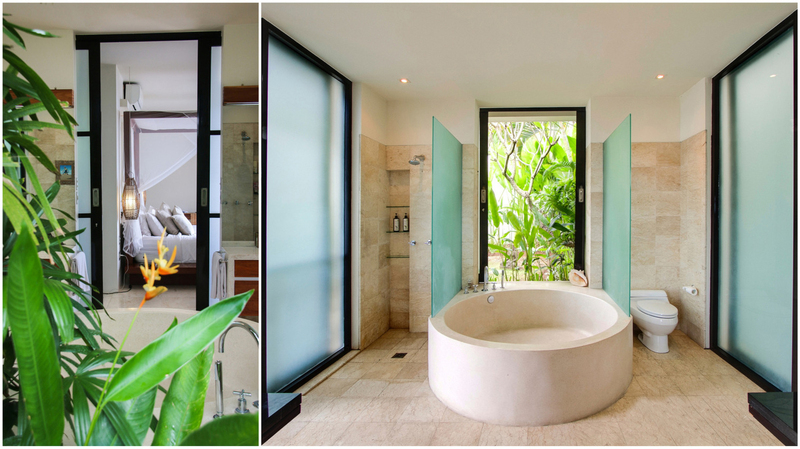 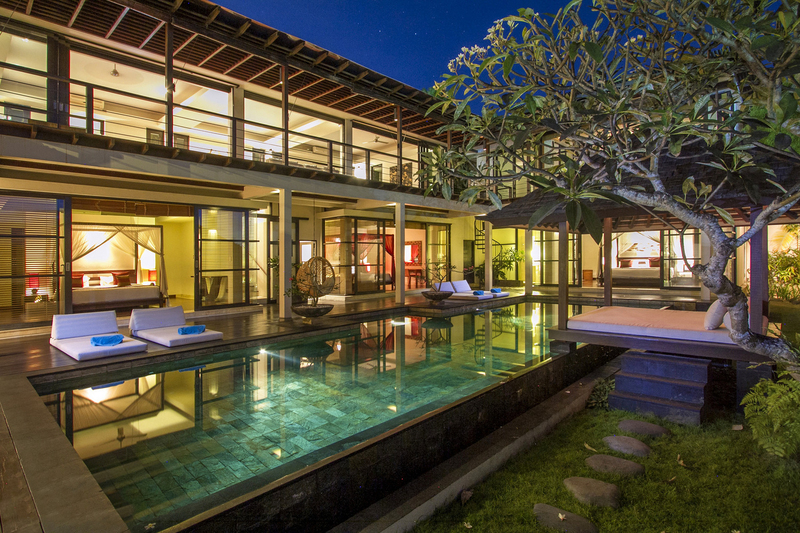 The villa is ideally located a convenient 15 minute drive south of the airport nestled amongst Bali’s exclusive Four Seasons and Karma resorts. 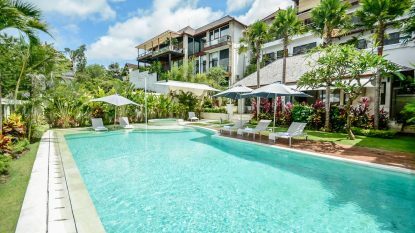 A 7-minute walk to Jimbaran Beach takes you to the award winning Four Seasons restaurant Sundara and famous Jimbaran seafood restaurants. 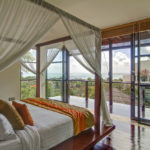 While retaining full privacy, the villa is just 2-minute walk to over a dozen quality restaurants and gourmet supermarket. 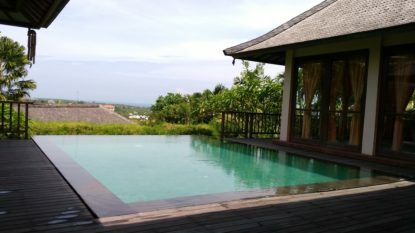 It is designed around a large Indian slate swimming pool and bale framing sweeping views of the bay. 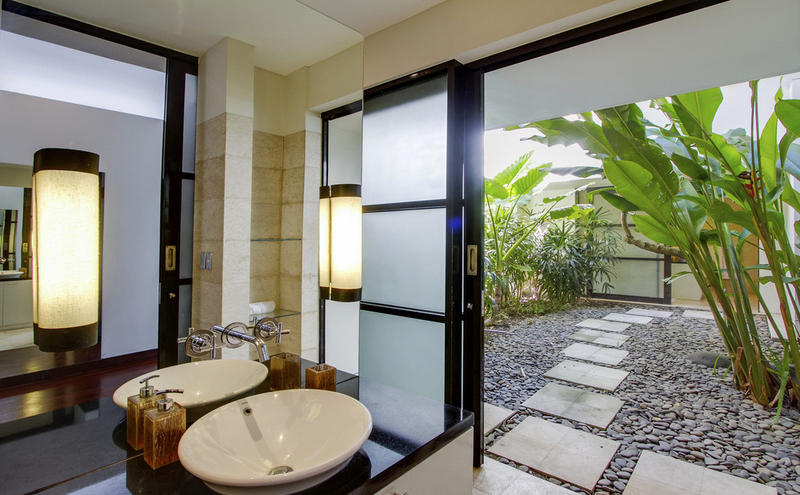 The smart building design is configured to ensure privacy and maximize cross ventilation with the cooling effect of the tropical gardens. 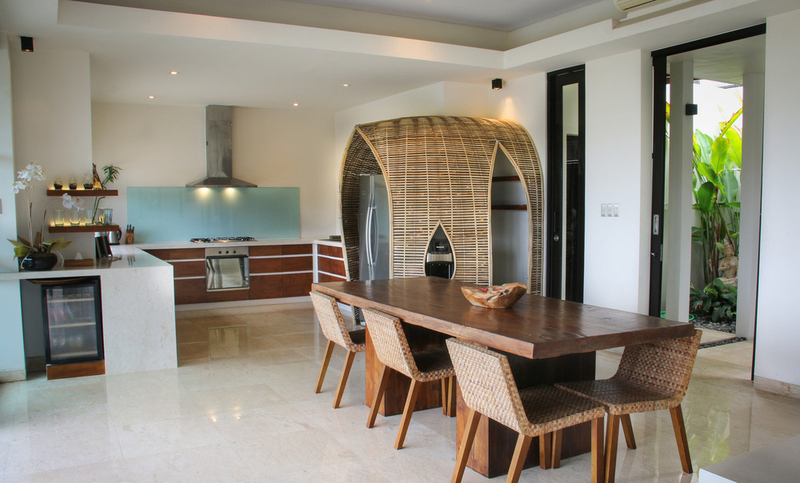 Upstairs the street level covered entry and double garage connects to the open plan living, dining and fully equipped modern western style kitchen. 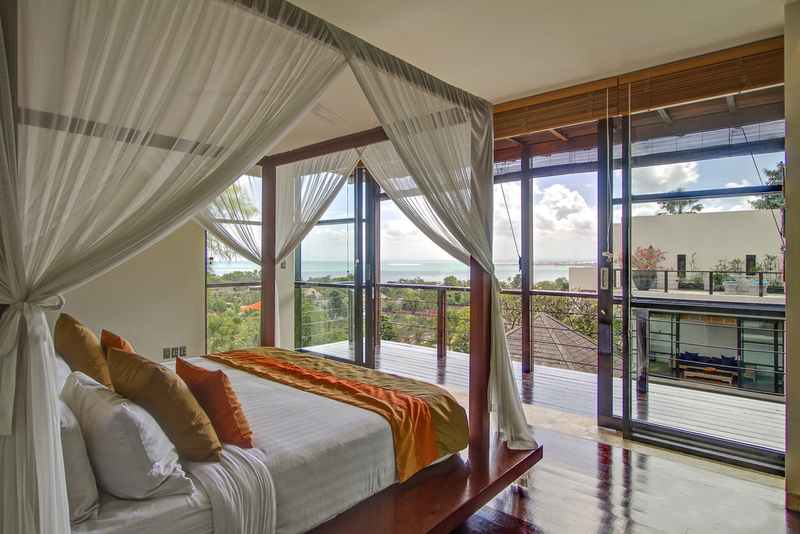 The master bedroom is separated from the living space via a covered walkway and commands spectacular ocean views from the bed and includes double sinks and large built in terrazzo bath. 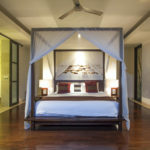 Downstairs the additional 3 bedrooms have been designed as master bedrooms in their own right overlooking the pool and expansive views, each with king size 4 poster bed, ample wardrobe and full marble en-suite. 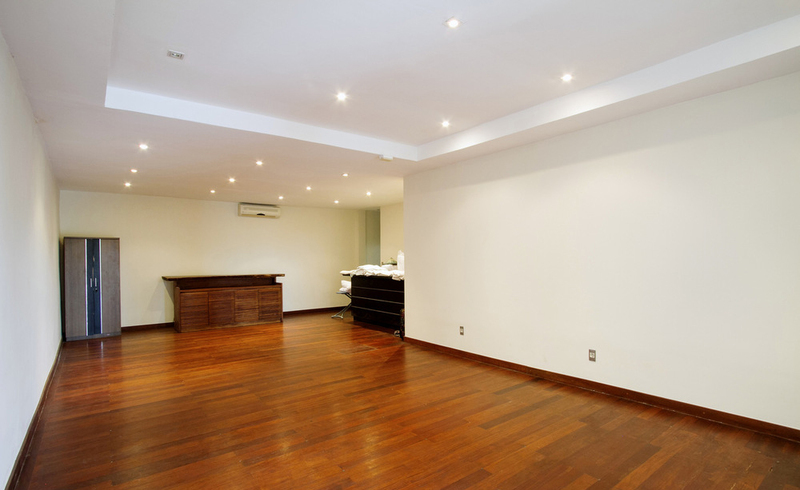 A large dance room / gym, media room and seating nook completes the downstairs area. 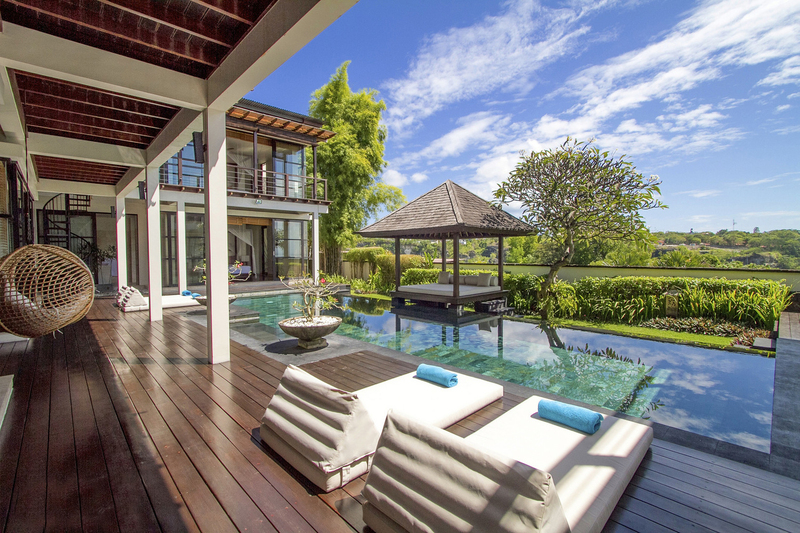 It includes a large open sunset terrace, staff room, sunken garden, storage and pool pump room. 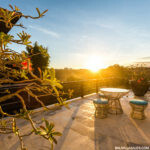 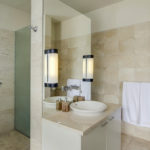 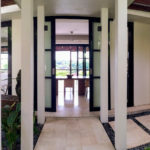 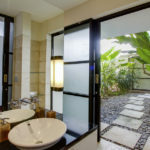 As part of Temple Hill Grand Residence, the villa comes with Gatehouse, 24 hour security, VIP power supply with backup generators, independent quality safe water with great pressure, garbage collection, wifi, private landscaped lane-ways and a management team with resources to support any needs. 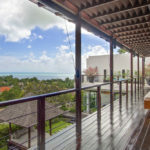 It has been home to a young couple for the last 5 years who have recently decided to move overseas for family reasons.